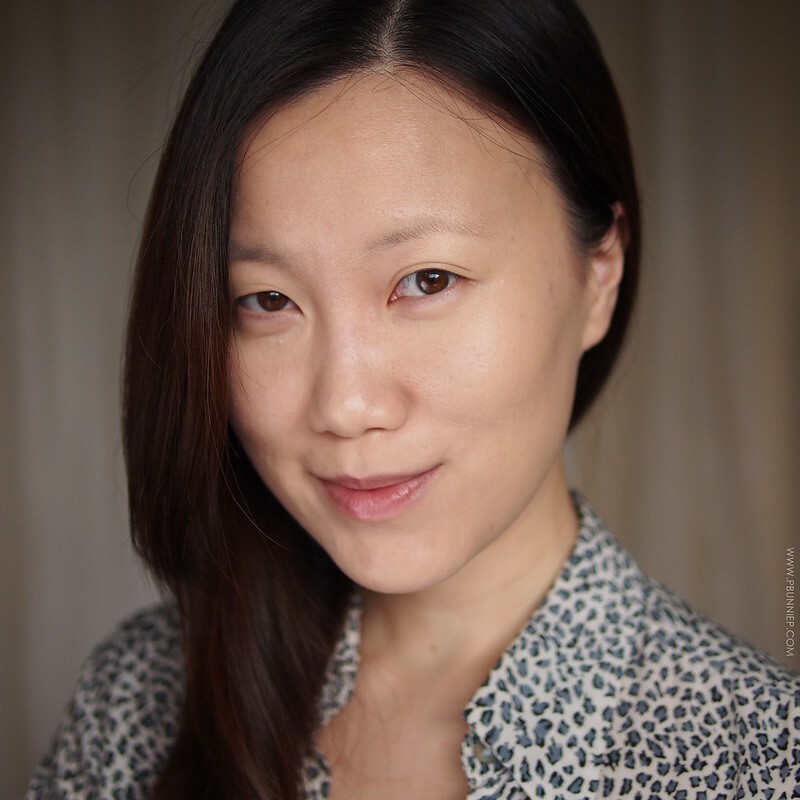 As a well known name in the Japanese beauty market, you may know DHC (that's the Daigaku Honyaku Center, in case you wondered) for it's wide range of nourishing skincare but they've also taken that expertise over to makeup. The brand offers a small curated range of products for a natural makeup look that's often a hit for those wanting something light for everyday. With North American headquarters located in California, they're recently opening up to the Canadian market and so I thought we'd familiarize ourselves with a few of their best selling products! 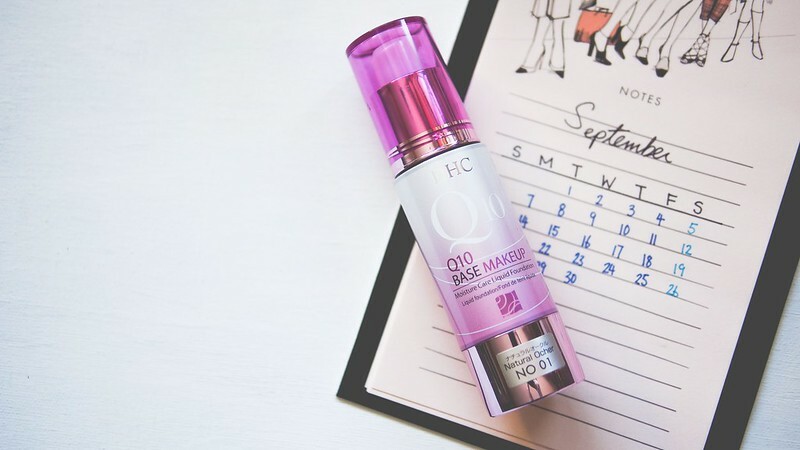 Housed in an easy to control plastic pump bottle, the Q10 Moisture Care foundation is targeted towards drier skin types with an extra kick of anti-aging benefits of coenzyme Q10 which is often found in skincare to help plump and firm up skin. A small clear window on the side of the packaging lets you see when you're close to finishing the product, a minute but useful detail that I can really appreciate from many Japanese designed products. Let me say that this particular product is an overwhelmingly long time popular choice in many Japanese magazines. The foundation itself is impressively high coverage; starting off as medium and quickly buildable to a near full immaculate finish with a velvety satin sheen. 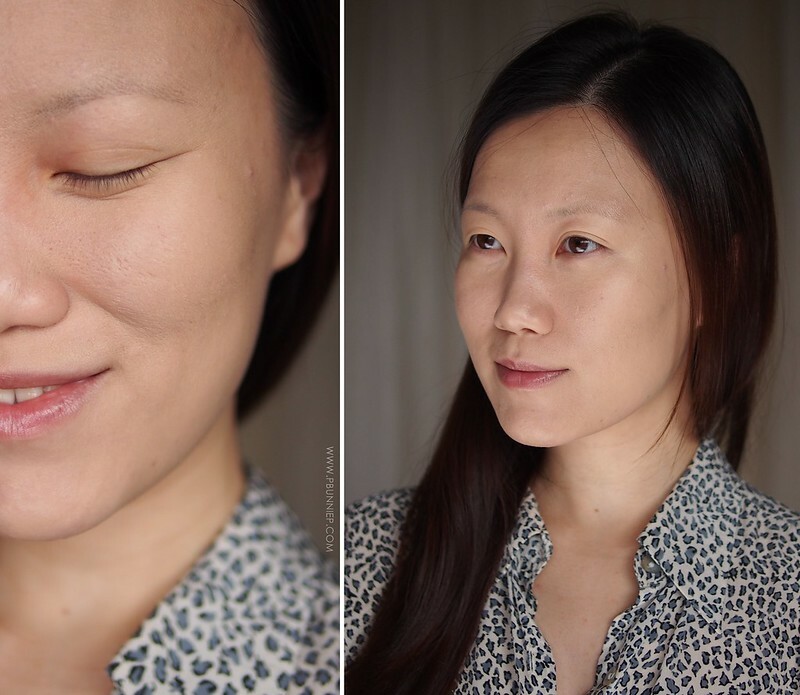 I was delighted at how beautifully smooth it was whilst still being very high coverage and easy to blend. The formulation is slightly thicker (almost a cream) and really cocoons the skin once applied. With a slightly powdery dry down however, it does accentuate dry patches if you use it with a buffing brush so fingers or a sponge (like a Beauty Blender) is my best recommendation. As well, prepping with a moisturizing/smoothing face primer also seems to help with persistent flaky areas such as my nose which (granted) never like to blend smoothly with anything. 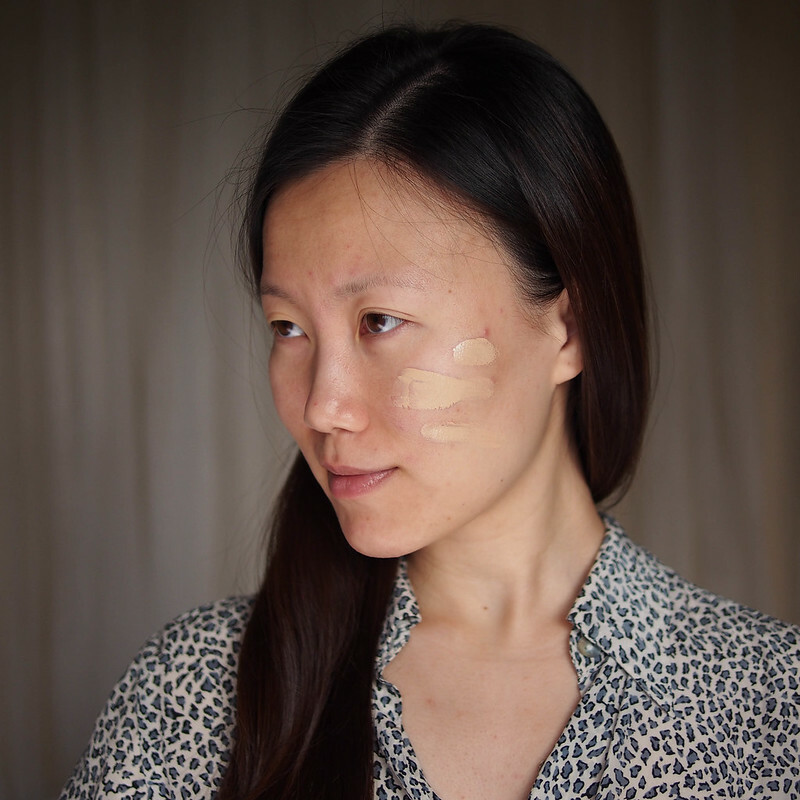 Pores and fine lines are easily smoothed over with this Q10 foundation and it should be very forgiving on problematic or more mature skin types. How beneficial the Q10 property is from a purely skincare perspective is open to debate but I doubt many of us will wear a single foundation every single day for long enough to see drastic long term benefits. See my colour match in other brands | Here. As you can see in my before and after photo (below) the colour match with Nature Orchre is next to perfect and here I am only wearing on layer all over the face with an extra bit under the eyes and around the chin. 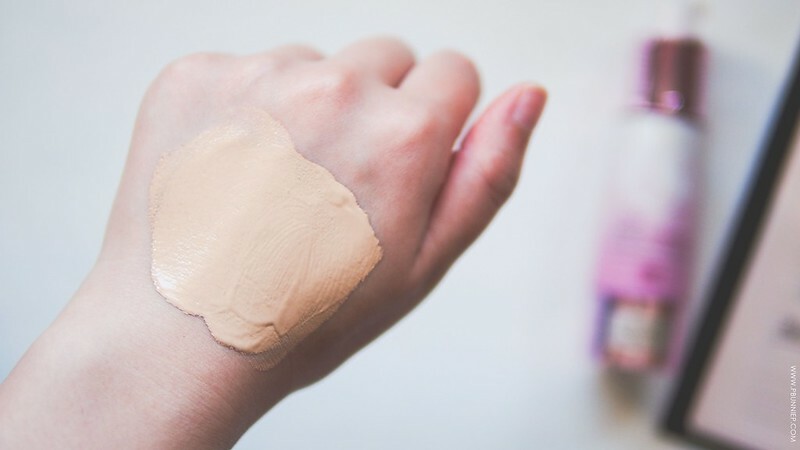 Note that the foundation looks darker when first pumped out, then slightly lighter when first applied but eventually settles just a tinge darker to a more natural finish. And speaking of natural, the first couple of hours wearing this was a complete pleasure compared to most traditional full coverage base products. 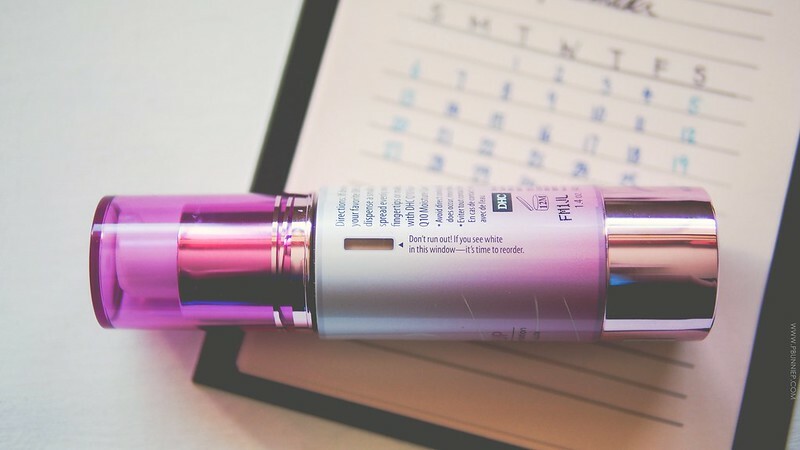 Be forewarned that this isn't the lightest feeling product on the skin and if you have oily skin or are used to super invisible products, this will not be for you. However the DHC Q10 foundation just doesn't last on my combination skin. In a quick two hours I'd start to notice creasing around my mouth and smile lines. A little further on my pores and other skin textures will start to show through again as well. I did find this to be a very skin friendly product (with oat and olive as moisturizing ingredients) and actually seemed to preserve my skin condition when I remove it at the end of the day but it just didn't look as great past the morning hours compared to the initial application. Wearing this with a primer did help the longevity slightly but transfer still remained an issue whenever I'd touch my face or even use my phone. For those who have very dry skin or plan on using this in the cold winter season, it may not be as much of a problem but this is certainly not humid weather friendly. 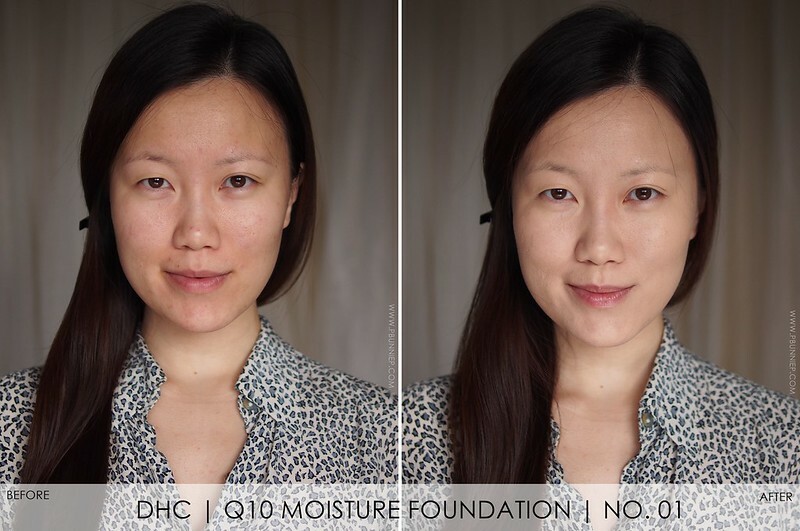 The DHC Q10 Moisture Care foundation has so many good things going for it including a beautifully smooth feel, a hydrating base as well as great high coverage in a user friendly formulation. Yet if it's not going to stay on my face then it just falls short of being a functional product in my arsenal. If it had been more long lasting then this would easily be a highly recommended product for everyone but for now I'd limit this to dry/very dry skin or very sensitive skin types unless you don't mind touching up every 3 hours. Close but not quite a winner, I've got my fingers crossed that DHC may reformulate this in the future.